In 2012 a makeshift kitchen was created at Kirtipur Cleft & Burn Center, even though the building was unfinishd. The kitchen came together to accommodate a volunteer surgical team from Operation Smile and the 60 patients that they were coming to serve. 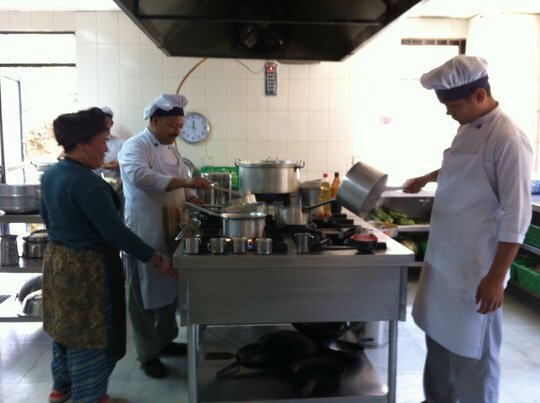 The makeshift kitchen somehow manifested nutritional healthy meals for visiting volunteers, staff and patients. Shortly after that Children's Medical Aid became involved and committed to design a modern kitchen, with trained personnel providing healthy nutritious meals for patients and staff. The ability of the kitchen staff to respond to the earthquake crises was the greatest reward for us. Since the original earthquake on April 25th, donations have been received from supporters around the world that have helped in numerous ways. Your donations helped to provide over 2,000 meals a week for earthquake victims for more than 5 weeks. Other substantial donations of money and equipment have helped the hospital provide medical care directly to those who have been hardest hit. We continue to provide free meals for hospitalized patients that are without funds. 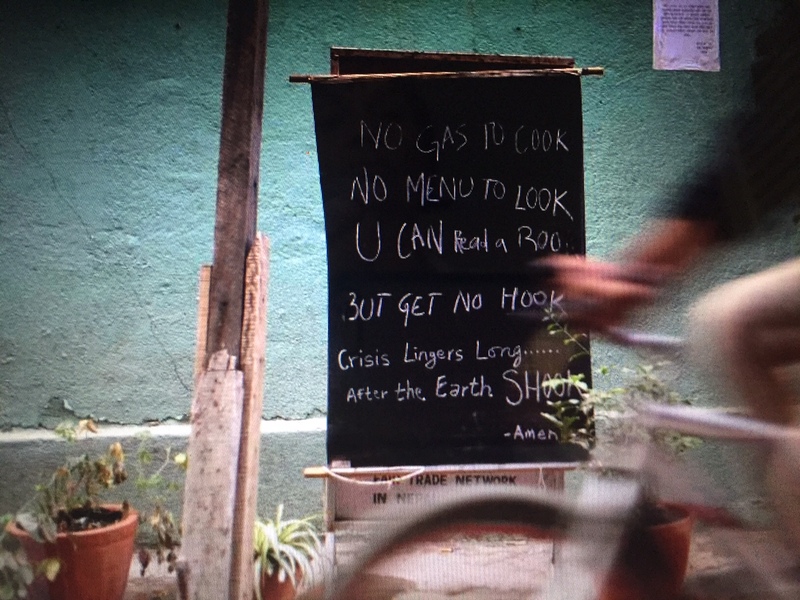 Your generosity has helped us through the worst of the crisis. Things are now starting to get back to normal. Good job everyone. Congratulations to you and everyone, and thank you. We deeply appreciate all the support that has been given. After Nepal's worst earthquakes in 80 years, relief efforts continue to aid more than 10,000 injured and many more thousands affected. Doctors in the area are still overwhelmed treating patients, and the people of Nepal need our help more than ever before. Read Carol Vernal's latest update on relief efforts here. Read an update on the kitchen at Kirtipur Cleft & Burn Center, still providing meals for patients, doctors, and families here. 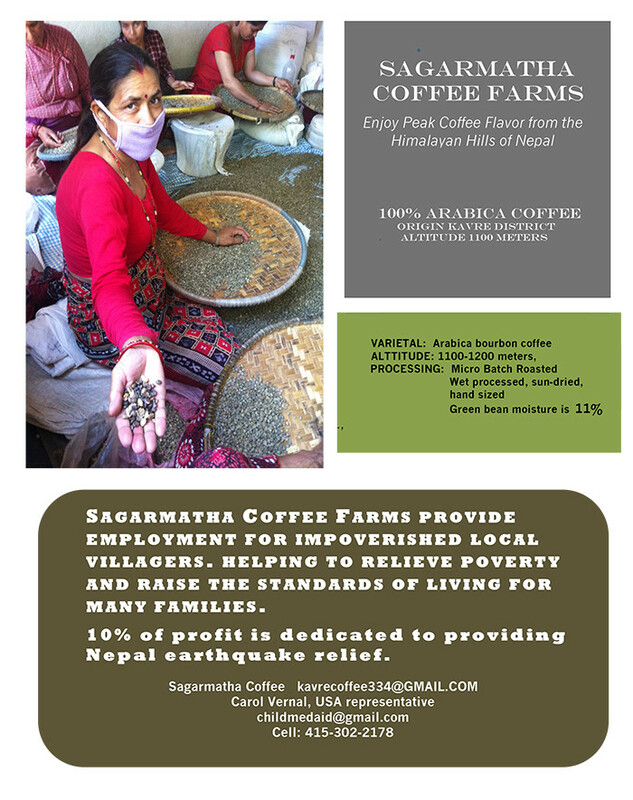 Coffee drinkers in California, you can now buy Nepali Coffee. Learn more. There are no words that can put into context the devastation as the people of Nepal attempt to recover from a tragedy that most of us cannot even begin to comprehend. All we can do at this point is try to provide survivors with aid, and hope that our best efforts can provide some comfort for our friends in the region. Our Surgical Outreach Team is focusing its efforts on giving essential medical aid. According to Dr. Rai, our director at the site, they are inundated with patients and have been working round the clock to provide trauma care to the injured. They have already treated more than 800 patients and performed more than 200 major surgical procedures at no cost to patients and without reimbursment of any kind With many more still in need of attention, the hospital is finding it more and more difficult to supply needed medical care and supplies. 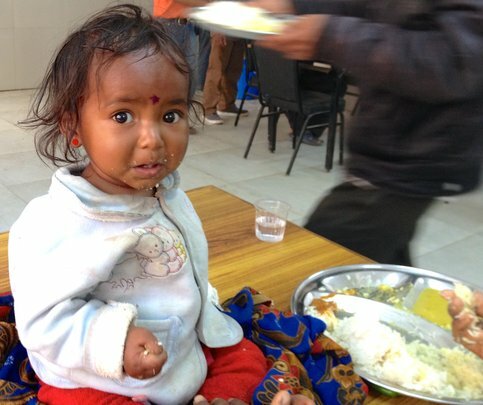 In addition, the Children's Medical Aid Foundation is helping the Kirtipur Cleft & Burn Center Cafeteria feed more than 400 people per day, supplying basic nutrional needs to those left without food and water. This is one of the few hospitals in the area able to supply urgent medical and surgical care, and providing food and water is essential to help the hospital continue, and to help the people of Nepal focus on recovering and rebuilding after this disaster. Special thanks must be given to Ansell and Australia Post. 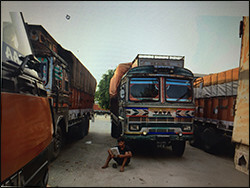 Ansell has donated more than 300kgs of surgical and examination gloves, and Australia Post donated logistical and transport services to get the gloves delivered directly to Dr. Rai in Kathmandu. Thanks must also go to all who have donated funds to help the hospital stay on its feet up to this point, and to help feed staff, patients, and families. The work is far from over, but your generosity has helped us to get this far. We are still in desperate need of donations, particularly in helping the hospital provide care and supplies to the many patients who still require treatment. If you, your family, or your friends are able to donate and help save lives, please visit our Support page and know that your donations will help us provide essential relief and medical aid. Please help us provide some hope in a time when hope is difficult to find, and thank you for caring about the people we reach in Nepal, and people in other countries around the world. How to donate.